Father of deceased had sworn affidavit that death was natural-Police has started investigation on basis of an anonymous letter that appellant had extra material affair and had took advantage of his profession-Held; appellant has already joined investigation-High Court ought to have granted anticipatory bail in view of statement of father of deceased-Ordered accordingly-Criminal Procedure Code, 1973, S.438. Comments Off on Father of deceased had sworn affidavit that death was natural-Police has started investigation on basis of an anonymous letter that appellant had extra material affair and had took advantage of his profession-Held; appellant has already joined investigation-High Court ought to have granted anticipatory bail in view of statement of father of deceased-Ordered accordingly-Criminal Procedure Code, 1973, S.438. Anticipatory Bail—Application declined in casual manner without assigning reasons—Matter remanded for fresh decision. Comments Off on Anticipatory Bail—Application declined in casual manner without assigning reasons—Matter remanded for fresh decision. Anticipatory Bail—Question referred to larger bench whether the protection should be limited to a fixed period so as to enable the person to surrender before the Trial Court and seek regular bail. Comments Off on Anticipatory Bail—Question referred to larger bench whether the protection should be limited to a fixed period so as to enable the person to surrender before the Trial Court and seek regular bail. It appears to be a case of damage having been caused to the property of the complainant and the allegations are of mere assault and trespass in furtherance of old enmity—Pre-arrest bail granted as custodial interrogation is not required in this case-Indian Penal Code, 1860, S.427, S.325 & S.455. Comments Off on It appears to be a case of damage having been caused to the property of the complainant and the allegations are of mere assault and trespass in furtherance of old enmity—Pre-arrest bail granted as custodial interrogation is not required in this case-Indian Penal Code, 1860, S.427, S.325 & S.455. Bail–Anticipatory Bail–Grant of–It is granted at a stage when the investigation is incomplete and, therefore, it is not informed about the nature of evidence against the alleged offender–It is, therefore, necessary that such anticipatory bail orders should be of a limited duration only. Bail–Anticipatory Bail–Use of the expression ‘reason to believe’ shows that the applicant may be arrested must be founded on reasonable grounds–Mere “fear” is not ‘belief’. 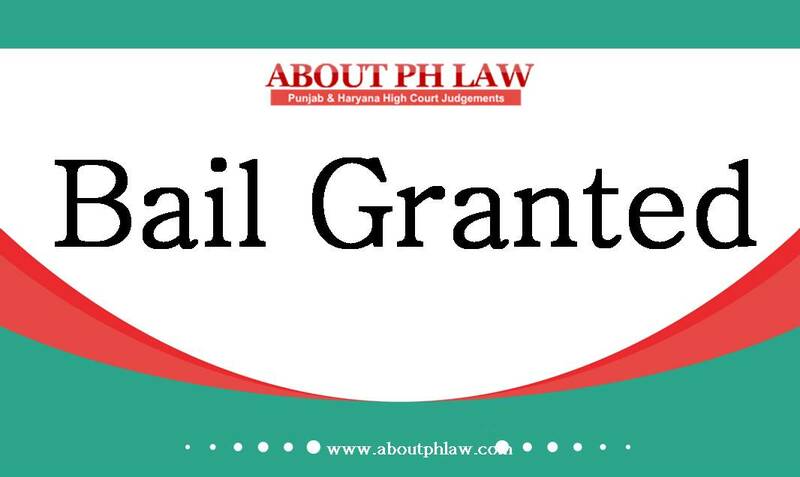 Bail–Anticipatory Bail–Grant of–Normally a direction should not issue to the effect that the applicant shall be released on bail “whenever arrested for whichever offence whatsoever”–Such ‘blanket order’ should not be passed. 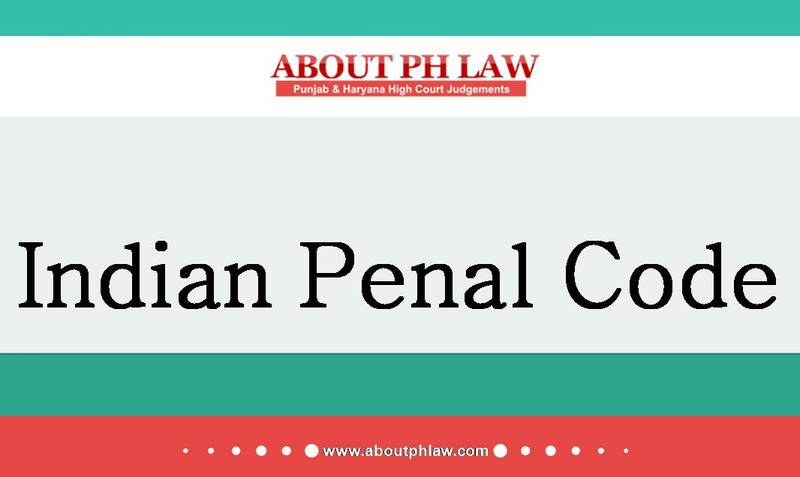 Bail–Anticipatory Bail–Grant of– Reference to particular portions of case diary–The papers which are to be supplied to the accused have been statutorily prescribed–The Courts should take serious note when the accused or the informant refers to the case diary to buttress a stand. Comments Off on Bail–Anticipatory Bail–Grant of–It is granted at a stage when the investigation is incomplete and, therefore, it is not informed about the nature of evidence against the alleged offender–It is, therefore, necessary that such anticipatory bail orders should be of a limited duration only. Bail–Anticipatory Bail–Use of the expression ‘reason to believe’ shows that the applicant may be arrested must be founded on reasonable grounds–Mere “fear” is not ‘belief’. Bail–Anticipatory Bail–Grant of–Normally a direction should not issue to the effect that the applicant shall be released on bail “whenever arrested for whichever offence whatsoever”–Such ‘blanket order’ should not be passed. 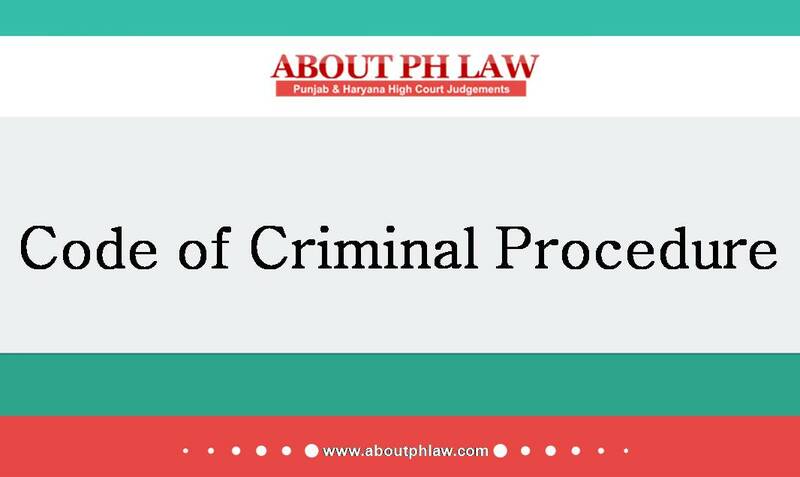 Bail–Anticipatory Bail–Grant of– Reference to particular portions of case diary–The papers which are to be supplied to the accused have been statutorily prescribed–The Courts should take serious note when the accused or the informant refers to the case diary to buttress a stand.